It scares me just to write these words. 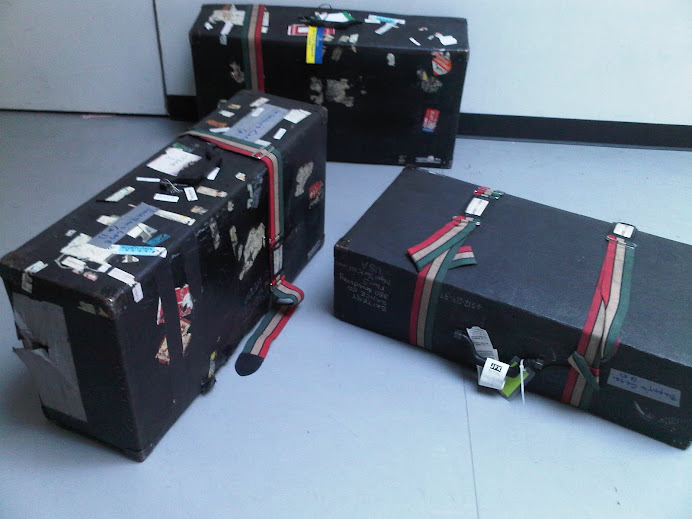 Imagine how we felt in Amman, Jordan, when several of our personal bags and our COSTUME CASE didn’t arrive from Tunisia. I still remember rummaging through the closets and chests of our extremely thoughtful and caring Embassy CAO and her husband, the dancers trying on various garments to see if they could find something suitable to perform in the next night at the Noor-Hussein Cultural Center. Fortunately, the costumes ended up arriving an hour or so before the show so we looked a little wrinkled but appropriately attired.